The amount of new technology that we have available to us is astounding, everything from 3D movies to hoverboards makes you appreciate the incredibly creative time that we are living in today. And it’s not just fancy skateboards and superhero movies that new technology is improving, it’s also developing our minds – and bettering our writing skills on the way. There are so many ways in which modern technology can help to boost your imagination to help you score a new level on the blogging scale… Here are five of the best. All creative minds have an instilled desire to search and discover; this often leads the searcher to find his or her own way, which in turn leads to creating something unique. Few things aid this common need better than modern technology. So many writers have searched for a forgotten book or poem, found it and were inspired to create. This is because having the capability to own entire libraries on a tiny device, gives you a strong urge to find more. And through those searches you might just discover new things and old things that you never knew existed, and which immensely spark your creativity. Before search engines, if you wanted to find that E.E Cummings poem that you only knew one line of, you’d have to go to the library and spend hours scrolling through books, losing time, energy and most of all inspiration. But today, with modern technology available at your beck and call, as soon as that creative spark hits you and you need to know or read something that pushes you further into your idea all you have to do is just tap a few buttons on your phone or laptop, and you will have it right then and there. Saving you time and allowing you to think, learn and create simultaneously. With the use of modern technology, you can see the writing world without having to leave your house. You can read literary magazines on your phone, you can see examples of work on social media and you can look back on historical pieces saved on e-books. Since you see what has been done and what is being done, you get the urge to think outside of the box and draw inspiration from the work of others. Modern technology, more than ever before, gives you a chance to connect with millions of people at the same time. Social media apps such as Facebook, Twitter and LinkedIn give artists the opportunity to form communities. Through joining groups with other writers on these social media platforms, you get to share your writing and obtain valid critique, you get to collaborate, and your work receives exposure. All of the tips and guidelines you find in these places boost your imagination by guiding you in the right direction. Every writer knows that ideas can come at the strangest of times; in the shower, in dreams and while you’re out and about, far away from any notepad. With note-taking apps and the basic functions of smartphones, nothing is stopping you from coming up with ideas on the go. Another significant aspect of this is being able to be outside away from your stuffy writer’s room, and still be able to create. 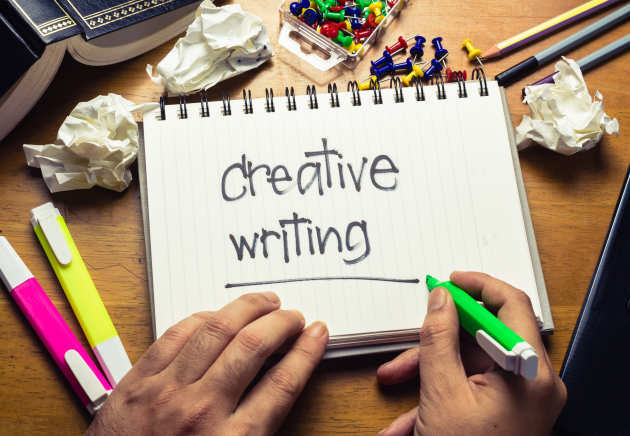 If you were trapped looking for new ways to boost your imagination and enhance your writing, take note of some (or all) of the modern technology trends that have become nothing short of a treasure for the bloggers of today – and unfold your creative spirit now!